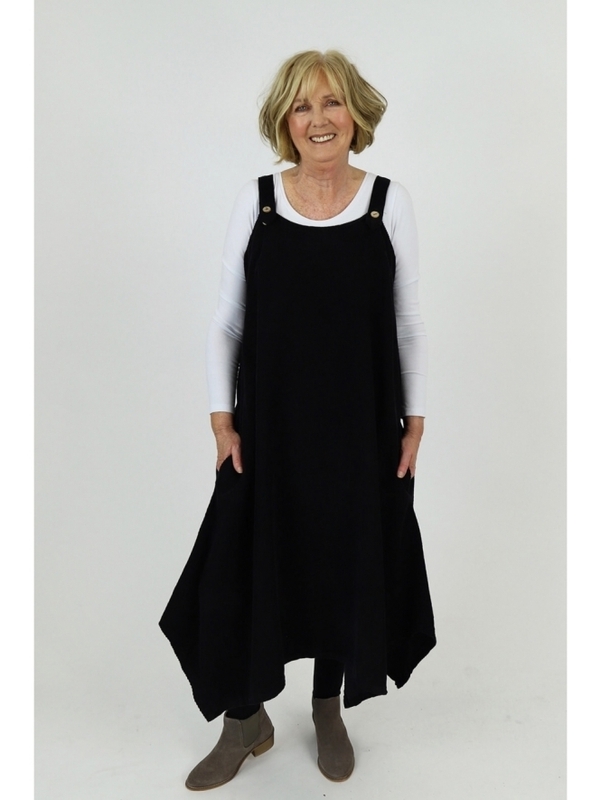 Cord is still a strong trend this season and the Made in Italy Gailey Cord Pinafore Dress full embraces the trend! With a hankerchief hemline, square neckline this style has great features making it perfect for layering. We love the button fastenings to the straps so you can make this piece the perfect fit! 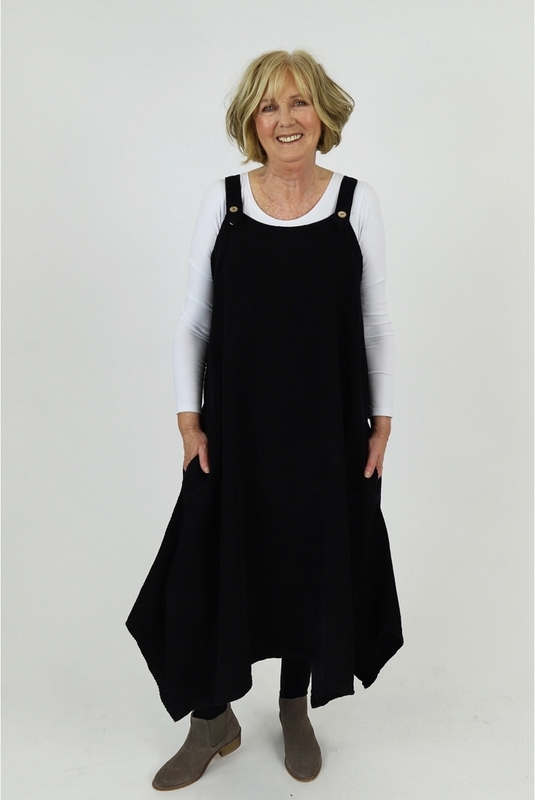 Showing our 2 Made in Italy Gailey Cord Pinafore Dress reviews with an average rating of Excellent. Would you like to write a review? This item is amazing and thick, very stylish but if your a small 18 don’t think because it looks big it will fit. The arms and strap are cut very tight so as they advised on the discription this will only for 14.